As a child, Diane recognized that she had a deep spiritual connection with animals. Playing with a variety of animals in the wooded areas around her home outside of Washington, D.C., she discovered that she could connect with them at a soul level. This connection was confirmed at age five when her dog Blackie telepathically warned her that a poisonous snake was dangerously close to biting her. She heeded his warning and slowly backed away before it could attack her. She continued to receive communications from animals and discovered that she could easily read their needs and wants, humor and insights, aches and ailments. Years later, Diane turned to a career in the corporate world, but she could not forget her gift. She knew she needed to serve animals and communicate on their behalf, and she wanted to teach people to respect, honor, and love them. 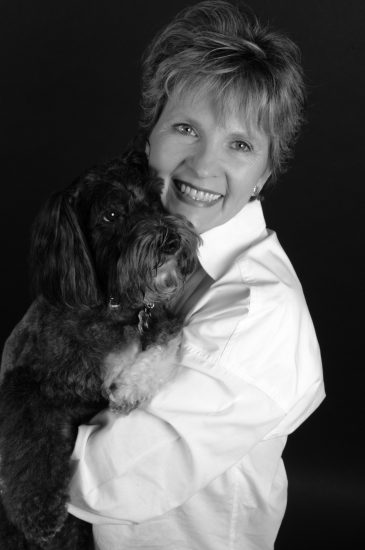 Today, this gifted, compassionate woman provides consultations to animal lovers worldwide. Diane can often assist in identifying animals’ illnesses and pain, and many local veterinarians respect and listen to her guidance. (Note: Diane is not a veterinarian and consulting with her does not substitute for veterinary care). Diane can assist in resolving animals’ behavior issues, by helping their humans uncover the motivation and logic behind the behavior, and helping the animals to deal with their issues in a more acceptable way. In some instances it is actually the human who needs to make a change. Once the situation is discussed, and changes are negotiated and instituted, successful resolution is often reached. Key elements for success, however, are mutual respect and understanding. Although Diane loves to help resolve problems between animals and their humans, she enjoys also just helping both to better understand one another, so that the human-animal bond can deepen and grow. With this growth, she says, comes understanding of the ways our animal companions enrich us spiritually. I saw you were ready when you closed your eyes, and though I did not want to, I knew I had to let you fly. When tomorrow comes and I cannot see your face, I'll be thinking of your smile and your honor, your grace. I will think about our friendship, the journey we shared together. Thank you for making me so entirely happy and content. Who knew the lessons you would teach me? In 2005, Diane's talent as a pet psychic was among the elite prizes offered celebrities at the 33rd Annual American Music Awards in Los Angeles.